Potholes and signs will be repaired on a busy road out of Corby. Northamptonshire County Council will close a stretch of the A427 overnight for five days next month to allow work to take place. A county council spokesman said the overnight closure will reduce the disruption on the local community. 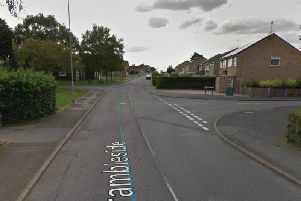 A spokesman for Northamptonshire County Council said: “Overnight works will take place on the A427 between Corby and Brampton Ash between 8pm and 6pm from April 16 to April 20. “These works will allow several contractors to work inside the road closure to minimise the cost of traffic management and reduce the disruption that roadworks can have on communities.